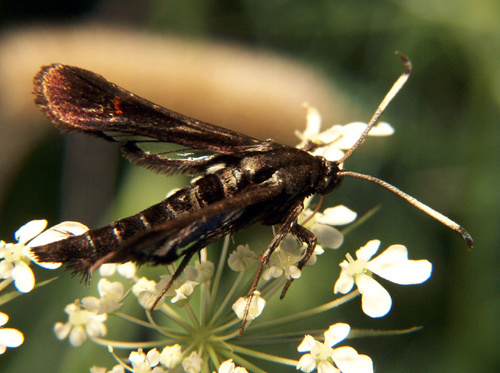 This moth appears to be in the family Sessiidae, the clearwing borers, but I cannot find these markings on any of them. Red bars on the forewings, only the hindwings are clear. Antennae hooked like some skippers, with a distinct white band. Thanks for any help! Definitely related if not the same species to the one in the thumb - ...never mind. I see now this is a female. Thanks for finally finding a home for this moth! Moved from ID Request section. and maybe a female (do they generally have dark wings?) but the red wingbars and pale antennae are new to me too. 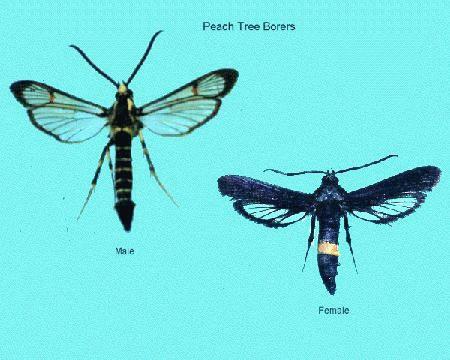 (Note the spelling of Sesiidae).